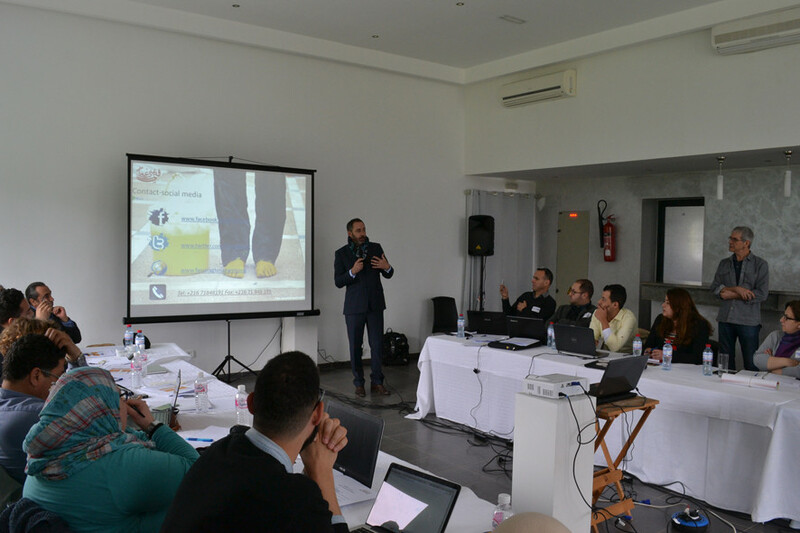 Between the 28th of March and the 1st of April 2017, SouthMed CV held an encounter in Tunis (Tunisia), about capacity building and mobility for the sub-granted projects of the 2nd call. It was hosted by BAC Art Centre, and organized by Interarts and BAC Art Centre. The sub-grantees also benefited from a visit of the Ambassador of the EU in Tunisia Mr Patrice Bergamini, who gave a word during the encounter. Visits to ‘Maison de l’image, an independent space dedicated to visual arts, to Espace Sadika, a space dedicated to glass art, and to al Hamra theatre took place during the evenings. On Friday March 31st, a public presentation of SouthMed CV and a press conference were held at the BAC Art Centre, with the presence of journalists cultural operators and artists from Tunisia. During the public presentation, Mr Bruno Montariol from the EU Delegation in Tunisia, underlined the importance of culture in the region and how, when accessible, it can lead to social, economic and political development. The encounter was closed on the 1st of April, with final conclusions and recommendations. This encounter is a turning point in the implementation of the sub-granted projects of the 2nd call, and a setting stone for the collaboration between SouthMed CV and the sub-grantees.